The 20th Aannual RIMS Cconference will take place in Milan, Italy on April 10-11th 2015. Local organization is provided by the Italian MS Society AISM/FISM (Prof. M.A. Battaglia) and Foundation C. Besta (Dr. A. Solari). Pre-conference workshops will take place on 9th April at San Raffaele Hospital (Drs. L. Leocani and M.A. Rocca), Foundation Don C. Gnocchi (Drs. M. Rovaris, D. Cattaneo, and J. Josdottir) and Foundation C. Besta institute (Dr. A. Solari). ECTRIMS Multiple Sclerosis Nurse Training Fellowship Programme - Deadline! "ECTRIMS Multiple Sclerosis Nurse Training Fellowship Programme"
This fellowship is offered to qualified/licensed nurses to provide the opportunity for them to obtain additional expertise through practical nursing experience and training in a mentored MS environment in Europe. The aim of the programme is to enhance care and support of individuals with MS by fostering improved clinical care and education and by helping to promote best practices in nursing care throughout Europe. ECTRIMS will support up to three fellowships each year, each with duration of 6 months to 1 year, with a stipend of up to €50,000. Training must be under the direction and mentorship of a senior MS nurse, in association with a senior MS clinician where appropriate, at a European clinical site with significant expertise in MS. Details about the ECTRIMS Multiple Sclerosis Nurse Training Fellowship Programme and application material can be obtained from the ECTRIMS website: www.ectrims.eu/fellowships or by writing to the ECTRIMS Fellowship Administrator: fellowship@ectrims.eu. 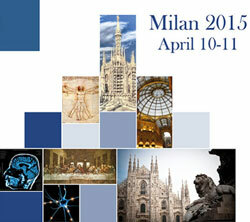 Please visit the conference website www.rims2015-milan.com for information on the preliminary program and on abstract submission. The theme of the conference is ‘translational research and patient-centered outcomes’ which will be addressed by key note lectures and parallel seminars. We encourage you to submit an abstract for oral or poster presentations. Abstract submission guidelines (deadline December 30th) can be found on the conference website. Accepted abstracts will be published in the Multiple Sclerosis Journal. CME accreditation will be provided. RIMS continues its bursary program for delegates from Eastern- Europe; who may experience a financial burden to participate to the conference. 500 Euros are allocated for free registration and contribution towards for accommodation/travel expenses. To be eligible for this bursaryprogram, active conference participation (i.e. one or more accepted abstracts) is required as well as 2015 RIMS membership. For information on the next RIMS annual conference, please click HERE. How does MS affect physical behaviour: a comparison with healthy controls. Rehabilitation, both physical and neuropsychological, is one of the most important aspects of multiple sclerosis (MS) management and a key way to influence outcomes in our patients, beyond pharmacotherapy. Recent advances have allowed us to fine-tune our methods and our assessment tools for rehabilitation in MS. “Beyond Pharmaceuticals: Improving Physical and Mental Function in People With MS” is an educational activity that highlights recent data on this topic presented at the joint 29th Congress of the European Committee for Treatment and Research in Multiple Sclerosis and 18th Annual Conference of Rehabilitation in MS (ECTRIMS/RIMS 2013). Keeping abreast of these updates and integrating these new strategies into our practice may allow us to delay physical and neuropsychological dysfunction in this population. Join our expert speakers—Jürg Kesselring, MD, Peter Feys, PhD, Päivi Hämäläinen, PhD, and Ulrik Dalgas, PhD—as we take a closer look at these recent advances and how they may impact our practice. 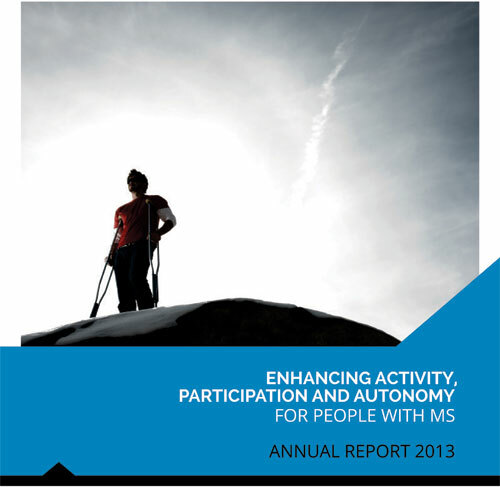 RIMS Annual Report 2013 available now! Please find the annual report of RIMS activities in 2013 here!! Report SIG Occupation meeting - Brighton June 7th 2014 available! The report is available on the website in the SIG Occupation section - 'meeting programs & reports'. Click here to go immediately to the reports page! Preliminary programme for SIG Mobility fall meeting launched! The preliminary programme for SIG Mobility fall meeting, entitled "Challenges in physical rehabilitation - integrating qualitative and quantitative approaches" - has been launched. You can find the programme on the Bergen meeting event page in the conferences section on our website or click HERE to see the programme immediately. We also uploaded a MEETING FLYER onto the registration page, click HERE to go immediately to the Bergen conference page. Once on the page you need to click the "REGISTER" button on the left top of the page to go to the online registration form. Go directly to the online registration form! RIMS CONFERENCE 2014 coming up! We cordially invite you to attend the 19th annual RIMS conference that will take place in Brighton, UK in June 6-7th 2014 with pre-conference master classes at The National Hospital for Neuroscience & Neurosurgery, Queens Square (NHNNS) London on June 5th. The theme of the conference is “Supporting Behaviour Change: linking science to clinical practice”. There will be plenary presentations, poster and platform presentations (total of 98) as well as plenty of parallel seminars. Local organizer of this conference is the MS Trust in partnership with the University College London (UCL) Hospitals (NHNNS Queen Square). The abstract submission and registration details as well as the preliminary program is available via our website/conferences or directly on http://www.rims2014.org. The program can also be found here. Don’t hesitate to forward this information to all your colleagues. We are happy to announce that the online payment with VISA - Mastercard & Bancontact is back available as of today monday 17th of march. We apologise for all the inconvenience of the past weeks and thank you for your patience. Those who tried the online registration during this period and still want to use the online payment instead of the bank transfer, please do send an email to our webmaster with the request to remove previous registration attempts in order to free your email address for a new registration attempt. The University of Limerick, Clinical Therapies Department is recruiting a post doctoral researcher for a Health Research Board (HRB) funded project entitled “Enhancing Physical Activity Behaviour in People with Multiple Sclerosis”. The project is a collaboration between Dr Susan Coote and Prof Rob Motl (University of Illinois). For further information please click here, and see http://www.ul.ie/hrvacancies/ or e-mail susan.coote@ul.ie. "Challenges in physical rehabilitation in MS – integrating qualitative and quantitative approaches"
Deadline: April the 15th 2014. For practical arrangements, please contact: the local organizer. RIMS online payment unavailable till further notice! The online payment is not available at this moment due to technical problems. We are working hard to fix this problem but the application will probably be unavailable for about a week (until februari 7th 2014)! Please do accept our apoligies for this inconvenience and recheck this page regularly during the coming week! We are pleased to announce that Europe's biggest conference on rehabilitation in MS conference will come to the UK next June, jointly hosted by the MS Trust and the UCLH MS Team at Queen Square. The 19th annual RIMS (Rehabilitation in Multiple Sclerosis) conference will take place from 6–7th June at the Brighton Hilton Metropole. The theme is Supporting behaviour change: linking science to clinical practice. Keynote speakers will include Professor Alan Thompson from the National Hospital for Neurology and Neurosurgery on The future for rehabilitation in MS and Dr Jared Bruce from the University of Missouri on Factors influencing behaviour change. There will be also a wide range of seminars, personal perspectives and a poster exhibition. This year, RIMS is offering a unique opportunity for a limited number of delegates to attend an MS Masterclass at the National Hospital for Neurology and Neurosurgery at Queen Square, London. This gives our European colleagues an opportunity to visit one of the world’s premiere MS services, leading the development of new treatments and interventions for multiple sclerosis at all stages of the disease. Bookings open at 1:00pm on Monday 4 November. For booking details, a draft programme and the call for abstracts see www.rims2014.org. Final programme Joint SIG meeting Limerick available! We are pleased to launch the final program of the RIMS SIG on Mobility and Education joint in-between meeting to be held in Limerick Ireland the 7th and 8th June. Hopefully it meets your expectations with stimulating presentations covering versatile perspectives in the promotion of exercise and physical activity in persons with MS. Please go to the conferences section on our website or click HERE to open the conference page immediately. Looking forward to meet you soon in Limerick. Preliminary program SIG Occupation in Fraiture (BE) added. Please check the meeting details in the 'conferences' section on the website or click the link below to access the program document directly. The final program of the upcoming event (19/04/2013) has been added. Please check the "conferences" section on the website or click on the link below to go directly to the details page. The information on the joint meeting has been updated as well as the attached documents. The preliminary program and abstract submission form have been added. Please check the "conferences" section on the website or click the link below to go directly to the event details. The information on meeting has been updated as well as the attached documents. The preliminary programme was updated and a weblink for more information has been added. The report of the meeting and some pictures of the event can now be found on the website. Please click on the links below to go directly to the documents or visite our conferences and multimedia section. Topic: Adherence to treatment in chronic diseases: focusing on diabetis, growth disorders and multiple sclerosis. Serono Symposia International Foundation is honoured to organize a second conference on the theme of “Adherence to treatment in chronic diseases: focusing on diabetes, growth disorders and multiple sclerosis” continuing its tradition of supporting patient care through dedicated medical education for healthcare professionals. This symposium aims to discuss recent achievements in managing the different aspects of adherence to treatment in chronic conditions, such as diabetes, growth disorders and multiple sclerosis, and it will also provide participants with the best solutions for optimizing patient care in their daily clinical practice. We are very pleased to invite you to the next in-between meeting of SIG Occupation in Fraiture (Belgium) on April 26-27 2013. Please find enclosed further details of the meeting. May we remind you that RIMS members will have free attendance, dinner and 1 night accommodation covered by RIMS. Travel expenses are for your own account. Hope to meeting you in Fraiture! The next SIG Mobility meeting will be held in Milan on the 9th - 10th of November 2012. For more information click HERE or check the conferences page. The World MS day 2012 is coordinated by the International MS Federation (MSIF) and takes place at May 30th. Its theme is ‘Living with MS’. More information on how to be part of the campaign, please visit the website www.worldmsday.org. A collection of powerpoint presentations presented at the recent annual RIMS conference in Hamburg have been made available on the website. Click on the ZIP icon to download a .zip file containing all available presentations or click the PDF icon to get an overview of the presentations with the appropriate link to view online. During the Annual RIMS Conference 2012, prizes were awarded for the three best posters and platform presentations. On the picture, you see the chair Ulrik Dalgas (right) with prize winners (except of M Zwanger). RIMS endorses the first “Perceptorship on MS Rehabilitation”, taking place in Valenz (CH) on September 20-22nd nd 2012 and leaded by Prof. Dr. J. Kesselring. The course is part of Serono Simposia alumni program “Perceptorship for Neurologists”. Afternoon/Evening Flight Arrival to Malpensa(50’ train (Malpensa Express) or Linate (Bus or taxi to Milan) or Orio al Serio, Bergamo (Bus to Milan, Central Station) or Train arrival to Central Station (Metro). For more details, meeting leaflet, meeting program and registration form please check the conferences on the website or click HERE. The MS Trust Annual Conference is a unique event specifically for generalist and specialist health and social care professionals working with people with MS. The cost to attend is 690 GBP, this price includes access to the academic sessions and exhibition, 2 nights accommodation and all meals. Further details and a full conference programme are available on the MS Trust website or check the conferences section on the RIMS website (details MS Trust annual conference 2012). The next SIG Bladder, Bowel and Sexual dysfunctions meeting of RIMS will take place in Lyon, France 10th October 2012. The aim of the meeting is to gather for discussion, learning, exchange and collaboration. It is my pleasure to announce that EMSP and RIMS (see www.euRIMS.org) are organising a two-day joint meeting in Prague (CR) on November 24th and 25th 2012. EMSP stands for the European MS Platform, the umbrella organisation for MS Societies, see www.emsp.org. Key subjects are linked to the use of social media in our work for/with PwMS (Saturday November 24th ) as well as on-line tools used in specialised rehabilitation programs (Sunday November 25th). You can participate to one or both days. The agenda can be found in attachment. This event is primarily directed to MS Societies and existing/potential RIMS members from Central and Eastern Europe countries (or other) with a wish to learn and share experiences both on the patient- and on the health care professional level. The number of place is limited to 80 participants in total, coming from EMSP and from RIMS - a “first come-first served” policy will apply. However, if you are aware of a MS professional (individual or clinic representative) who could be interested in this event and in a potential RIMS membership, RIMS would be grateful for your forwarding of this invitation to this person. A participation fee of 75,- Euro is asked for the two day event (50 euro for one day), including meals and conference bag. A hotel reservation can be made for 75 euro per night. The by far bigger part of the conference costs is covered by EMSP and RIMS funds. We look forward to meeting you end of November in Prague. Please register at www.euRIMS.org for receiving all newsletters of RIMS. For a small number of delegates a travel-and accommodation bursary can be provided. Should you be in need for this, please contact our conference organiser Anna Maria Niculescu at events@emsp.org asap. RIMS has established a grant program from 2011. The program aims to facilitate collaboration between RIMS members from different centers and countries in the domain of MS rehabilitation. Both projects regarding best practice (e.g., development of guidelines or educational programs) and research are welcomed. In the present call, two projects will be granted, each of € 5,000. The submission form is available below! It should be completed and sent by email to the RIMS Grant Officer by January 20th 2013 (she is also be available for clarification at solari@istituto-besta.it). Only applications involving a minimum of three RIMS members from different institutions of three different countries will be considered. Notification will be given by May 1th 2013, after peer review of submissions by the RIMS Executive Board and by external reviewers. The 18th annual conference will be joint RIMS-ECTRIMS meeting taking place in Copenhagen (Denmark) between 2 and 5 October 2013. For more information, please visit following website: http://www.congrex.ch/ectrims2013 or check our conference page. First of all, we wish you and your colleagues a good 2012 with satisfaction of your clinical and/or research achievements. From our side, we hope that we will meet and interact to embody our European Network for best Practice and Research. We welcome you to participate to our annual conference and special interest group meetings, as well to the RIMS fellowship and grant programs. Next (17th) annual conference of RIMS will take place in Hamburg, Germany on 31 May-2 June 2012 and is organised by Prof. Dr. Christoph Heesen and Prof. Dr. Thomas Henze. The full program and registration options are available on www.rims2012.org. Primary topics are “Shared-Decision Making in MS Rehabilitation” and “Towards Evidence-based Motor System Regeneration”. From our side, we hope that we will meet and interact to embody our European Network for best Practice and Research. We welcome you to participate to our special interest group meetings, winter event organized with European MS Platform (EMSP), as well to make use of the RIMS fellowship and grant programs. A new mission statement was developed by the executive board and approved by the RIMS members during last general assembly meeting in Hamburg. Mission: We aim to enhance activity, participation and autonomy of people with MS by developing and advocating evidence-based rehabilitation. Vision: All people with MS throughout Europe have access to evidence-based rehabilitation when they need it. 2012 was characterized by an updated website, new mission statement, RIMS grant program development and several conferences and meetings. Last November was busy with 3 special interest group meetings (SIG’s; Lyon-Milan-Barcelona) as well as a joint winter conference with our partner organization EMSP in Prague. You find more information on our website (see calendar). For 2013, we look forward to new RIMS grant proposals, fellowships, publications and interactive meetings. A snapshot of activities is summarized below. To keep on being informed, please register on our website www.euRIMS.org. Please also consider (renewal of) RIMS membership which provides you benefits. On-line registration is possible via our website. Two projects on best practice and research in MS Rehabilitation will be granted, each € 5,000, under the condition of collaboration between members from three different countries. Project applications have to be submitted by January 20th 2013 and send to Dr. Alessandra Solari, RIGra coordinator. Please consult our website for application form and details. The short version report of the Milan meeting has been added to the conference event description or click HERE to go to the report directly. This newsletter will inform you on the activities of RIMS in 2013. We welcome you on our annual conference in October 2013 as well beforehand on several meetings of our special interest groups. An overview is provided below, while more details are present on our website www.euRIMS.org. As a RIMS member, you are entitled to reduced (or even free for SIG meetings) registration to these events and other benefits. You can apply for membership on-line on our website. The XVI annual conference 2011 took place in Turku, Finland and enjoyed great success in terms of numbers of delegates (300), quality of presentations and interactive networking. The 20th anniversary of RIMS was celebrated with a historical overview by one of its founders; Dr. P. Ketelaer. The Finnish MS Society was also celebrating its 40th anniversary, so it was a very special occasion. Munia Vereecken (OT, Melsbroek, Belgium), ‘In search of an instrument to assess wheelchair driving skills in persons with MS: adaptation and evaluation of “the wheelchair circuit’’. 2011 has been the election year for the executive board. Ulrik Dalgas (Sport Scientist, Aarhus, Denmark). We would like to invite you to view the ‘administration’ webpage to find out more about your new executive board members. Peter Feys was appointed as president, Païvi Hämäläinen as secretary, Vincent de Groot as treasurer and Vicky Matthews as SIG and membership coordinator. RiReGra is the new RIMS grant program. This program aims to stimulate and facilitate collaboration between members regarding shared best practice networks, implementation of innovation, research projects, multi-center studies, etc. Applications can be made when different members from different countries participate, for an amount of 5000 euro maximally. The application process will soon be available on the website with guidance on submission deadlines for grant applications; October 11th and successful application notification before mid February 2012. We also very much wish to encourage persons to experience other member centers through the RIMS fellowship program, and to continue strong support for in-between meetings of the special interest groups. Please consult the website of the different SIG’s for information on upcoming events. We also have great pleasure in inviting you to view the preliminary program of the 2012 RIMS conference which will take place in Hamburg, Germany on 31 May-2 June 2012. The local committee is Dr. Christoph Heesen and Dr. Thomas Henze. Key themes for the conference are to be “Application of shared decision making in different domains” and “Neurophysiology underlying motor rehabilitation”. Check our website for regular updates of the program. We very much look forward to working and collaborating with you; on research projects, sharing expertise and exchanging experiences in MS rehabilitation. For the coming months, we wish you a great summer with good weather and some enjoyable free time for fun and relaxation. On behalf of the executive board. RIMS2011 conference is “round the corner”. This year, we have been very happy to receive a record number of abstracts for posters and oral presentations. At this phase, we have altogether 50 abstracts listed. The titles include a wide range of topics related to MS. Also, we will have two interesting Satellite Sessions: on Friday New Strategies in Drug Treatment in MS and on Saturday The safety profile of current and emerging MS drugs. In addition to the scientific program, we surely will take some time to have fun together to celebrate RIMS 20-years anniversary. Among the social program, we have managed to organize a very special tour on Saturday 14 May , at 17.30 pm, namely a visit to the famous Turku “Kakola” prison. Kakola served as a prison until the new one was opened in September 2007. It was opened in summer 2008 for the general public. Guided tours take the visitors to gloomy segregation cells as well as to prison church. Don’t miss it! RIMS General Assembly is organised on Friday, May 13th, 2011 at 17.30-18.30 pm at the Congress Venue, Turku ICT House, Joukahaisenkatu 3. In case the quorum is not met, a new General Assembly will be held on Saturday 14th May at 8.00-9.00. The General Assembly on the second date, will be valid regardless of the number of members present or represented by proxy. This time, altogether five Executive Members will leave the board and the elections will take place. I look forward to meeting you in Turku, May 13-14 2011. RIMS 2011 and Turku, the European Capital of Culture 2011, surely offer the participants lots to see and experience. For me, it is a very special occasion: after two terms as RIMS President I am stepping down and welcoming the new one – who that will be , we´ll know in Turku! I wish that the new year has started smoothly with you all. There will be opportunity to present and discuss original studies and posters and, as already for many years has been done, the best RIMS oral and best RIMS poster will be given awards. Abstracts for poster and oral presentations deadline is January 31st 2011. The date for acceptance or rejecton of abstracts is February 28th 2011. Note that a participant with an accepted abstract (poster or oral) will be able to get their registration fee with early bird fee. Along the scientific program we have also listed some places of interest. What especially needs to be mentioned, is a guided tour to a very traditional old prison, Turku Kakola which was opened to the audience in summer 2008. On Friday afternoon, 13 May, the General Assembly is organized. I am very happy to inform that the founder of RIMS, Dr Pierre Ketelaer from Belgium, will give a short “RIMS history” overview before the official Assembly matters. After that, we have elections for the new Executive Board members. We have altogether five “old” members leaving the Board after their two terms, including myself. I am looking forward to meeting you in Turku, May 13-14, 2011. RIMS and Turku, the European Capital of Culture 2011, together surely offer the participants lots to see and experience. Very warm Christmas Greetings to you all. The joint ECTRIMS-RIMS Conference is now behind and the next RIMS conference 2011 is approaching. In General Assembly, October 2010, in Gothenburg, it was decided that a member letter will be sent to all members in order to give the possibility to send comments regarding the decisions. Today, after one month from the letter, we have not received any complaints. As you already know, the 16th Annual Conference of RIMS will be held in Finland, Turku, the European Capital of Culture 2011. The date for the conference is 13-14 May, 2011. This time the conference has along the scientific program two major reasons to celebrate: the Finnish MS Society 40 year´s and RIMS 20 year´s anniversary. The theme for the conference is Lifelong perspective: Rehabilitation for MS patients with complex needs. There will be opportunity to present and discuss original studies and posters and, as already for many years has been done, the best RIMS oral and best RIMS poster will be given awards. Registration Early Bird date is 15.2.2011. Note that a participant with an accepted abstract (poster or oral) will be able to get their registration fee with early bird fee. I wish you all Merry Christmas and naturally, I am looking forward to meeting you in Turku, May 13-14, 2011. RIMS and Turku, the European Capital of Culture 2011, together surely offer the participants lots to see and experience. At Gothenburg, all SIGs will have their core people´s meetings as well as Executive Board and SIG Chairs will have a meeting. The 16th Annual Conference of RIMS will be held in Finland, Turku, the European Capital of Culture 2011. This time the conference has along the scientific program two major reasons to celebrate: the Finnish MS Society 40 years and RIMS 20 years anniversary. The theme for the conference is Lifelong perspective: Rehabilitation for MS patients with complex needs. There will be opportunity to present and discuss original studies and posters and, as already for many years has been done, the best RIMS oral and best RIMS poster will be given awards. The dead line of abstracts for poster and oral presentations is January 15st 2011 and the abstracts will be published in International Journal of MS Care. The date for Acceptance or rejecton of abstracts is March 15st 2011. Preliminary program will be launched at ECRTIMS 2010, October 13-16, 2010, Sweden. Hoping to meet you in Gothenburg, October 2010! Also, we are looking forward to meeting you in Turku, May 13-14, 2011. RIMS and Turku, the European Capital of Culture 2011, together surely offer the participants lots to see and experience. I wish that the new year has started smoothly for all our members. As you already know, the 2010 RIMS Conference will be organised as a joint ECTRIMS-RIMS in Gothenburg, Sweden, 13-16 October, 2010. Please note that RIMS members will get a reduced price for registration fee. You have to be able to show your membership at the time of filling up your registration form. As RIMS annual conferences traditionally occur in May, it means that the following conference, the RIMS 16th Annual Conference will follow quite rapidly after Gothenburg. Please, make a note on your calendar that in 2011, RIMS conference will be organised 13-14 May 2011 in Finland, Turku, The European Cultural Capital of 2011. The local organisers will be Dr Tiina Leistevuo, Chief of Masku Neurological Rehabilitation Centre and Dr. Juhani Ruutiainen, Chief of Rehabilitation Services , Finnish MS Society. Also, as having its 40 years anniversary, the Finnish MS Society will act as a partner in organising the conference. Enjoy this wonderful winter time! The plans for the next year are now being done and as autumn greetings, you will find some issues that are important during 2010. The next RIMS Conference will be organised as a joint ECTRIMS-RIMS Gothenburg, Sweden, 13-16 October, 2010. The RIMS topics with two major RIMS sessions will concern “progress in MS rehabilitation” and “cognitive and behavioral aspects in MS”. The preliminary program for ECTRIMS-RIMS 2010 was launched during this year´s ECTRIMS, Dusseldorf, September and the finalizing process regarding the program will be done by the end of this year. Abstract dead line is 27 May 2010. Early Bird registration dead line is 18 August 2010. It is a pleasure to inform that the first fellowship visits are just about to start. The first fellow in RIMS history will be an occupational therapist fromItalyand the center she will stay for one fellow week is Masku Neurological Rehabilitation Centre,Finland. Also, two physiotherapists fromSpainhave sent their applications wishing to stay one week at Masku in 2010, which naturally pleases me very much and we all are happy to have them. In order to attain the fellowship, the fellow needs to fill in the Application form. In addition, the centre the fellow intends to visit should show that they willing to organize the visit for at least one week. RIMS naturally wishes to get more centres involved, just let us know. the following conference, the RIMS 16th Annual Conference will follow quite “rapidly” after Gothenburg. Already at this phase it might be useful to make a note on your calendar that in 2011, RIMS conference will be organised inFinland, 13-14 May 2011. The local organiser will be Dr. Juhani Ruutiainen from Masku Centre. Also, as having its 40 years anniversary, the Finnish MS Society will act as a partner in organising the conference. Enjoy this colourful autumn time! It is my pleasure to inform that we got altogether 247 registered participants for the 14th Annual Conference of RIMS in the sunny and warm city of Genoa 23-25, April 2009. So, although it at some point seemed that we could get less participants than we had hoped for, the result at the end was really good and regarding the time of global economic difficulties, we have all the reasons to be satisfied. RIMS General Assembly was organised on Friday, April 24th, 2009. Because we did not meet the quorum, all members will receive a member letter with the minutes of General Assembly and they are able to give their approval or objections regarding the decisions done at the General Assembly. All SIGs organised their scientific workshops. The number of participants in these parallelly organised sessions was high, which naturally pleases us very much. Also, an idea of establishing a new SIG on the topic “Patient information “ was presented and on this new topic, there also was one workshop. We shall here news about this in the very near future. You can find more information about SIGs on our www pages. 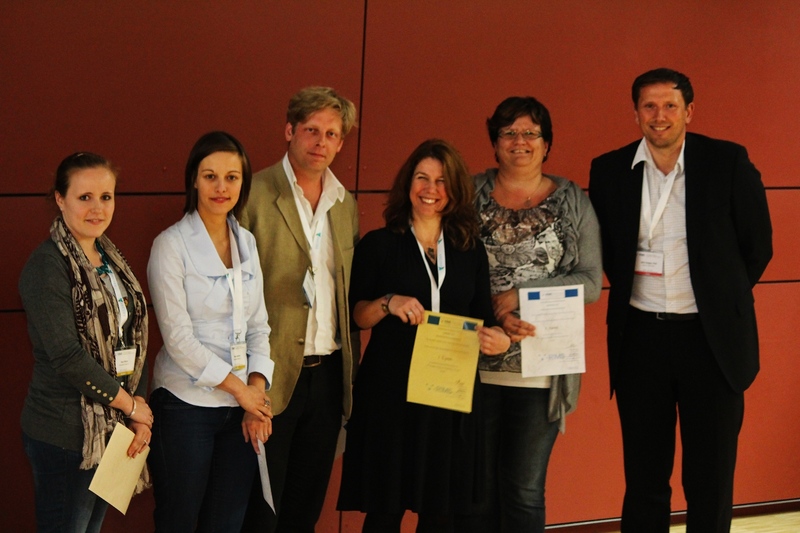 The traditional RIMS Awards for Best Poster and Best Oral Presentation with 500 euros were nominated. Once more I take the opportunity to thank our local organiser, Dr Claudio Solaro and Italian MS Society as well as Genoa Neurological Department for their fruitful collaboration. Building up RIMS conference with such an expertise was a pleasure and I am sure as the participants found the program interesting and stimulating. I hope that this year has started smoothly for everyone. As you already know, the 14th annual conference RIMS 2009: Research Challenges in Multiple Sclerosis rehabilitation is approaching. You are all welcome to Genoa, Italy, from Thursday 23 April 2009 – Saturday 24 April 2009. The Pre Conference Workshops will be on Thursday April 23. The themes are linked to designing clinical trial, pelvic floor treatment, sport and MS and dysphagia. I wish that all our member centres would be actively participating also in this year´s conference. The program surely is interesting and covers a wide range of MS-related topics. On the program there is also a special time reserved for all SIGs to organise their own scientific workshops. Hopefully also, all SIGs would take the opportunity to organise a meeting during Genoa conference within so called core group people of their SIG in order to activate their functions. RIMS EB appreciates such activities and feels – sadly- that if any SIG does not show activities, such as in-between meetings and SIG Workshops during annual conferences, we will not be able to continue supporting such SIGs anymore in the future. Also, as yet, not so many centres nor individuals have responded to RIMS Fellowship program. So, I take the opportunity to encourage your centre as well as you staff members to take this opportunity. - The fellowship is available to young European professionals, preferably non-doctors, in order to facilitate their training in rehabilitation related to Multiple Sclerosis among RIMS member centres. See more on our pages. Hoping to meet you in Genoa! Seasons are changing again, so it is about time to update you on activities, programs and conferences within RIMS, as well as decisions of the executive board. In autumn 2011, two Special Interest Groups organize their 'in-between conferences' meetings. SIG Mobility. Meeting in Barcelona, Spain on September 30th and October 1th with topic "Treatment of Balance and Gait". Local organizer is Carme Santoyo. SIG Communication & Swallowing, SIG Integration & Participation, SIG Occupation and SIG Psychology & Neuropsychology. Joint meeting in Melsbroek, Belgium on November 18-19th with topic "The multidisciplinary approach for assessment and management of cognitive disorders in people with MS". Local organizer is Daphne Kos and the Melsbroek team. Attendance to SIG Meetings and part of accommodation and catering costs are free for RIMS members. For more information on content, please consult the SIG webpages of RIMS. Next (17th) annual conference of RIMS will take place in Hamburg, Germany on 31 May-2 June 2012 and is organised by Prof. Dr. Christoph Heesen and Prof. Dr. Thomas Henze. Primary topics are "Shared-Decision Making in MS Rehabilitation" and "Towards Evidence-based Motor System Regeneration". Secondary topics are "concepts of trial designs" and "patient-reported outcome measures"
The full program is available on www.rims2012.org. We would like to encourage active participation and interaction of clinicians and researchers, and therefore invite you to submit your abstract for poster or platform presentation before December 23th. All abstracts will be published in Multiple Sclerosis journal.Poster presenters will also be provided with short time to present themselves to the audience. We very much wish to encourage persons to experience other member centers through the RIMS fellowship program. Recently, Maria Esperanza Rubio (PT) from the MS Foundation Madrid, Spain has visited the MS Center in Haslev, Denmark. She reports that this fellowship was very informative both regarding organization as well as concept and content of care. A special appreciation also for Hans van Tongeren (PT, Haslev). New applications can be made continuously throughout the year, and are discussed at next executive board meeting. As announced before, applications can now be made for the new RIMS grant program. This program aims to stimulate and facilitate collaboration between members regarding shared best practice networks, implementation of innovation, research projects, multi-center studies, etc. Applications can be made when members from different countries participate, for a maximum amount of 5,000 Euros (submission rules and procedure can be found on this website). The submission deadline has been extended to November 21th at noon. Feedback will be provided by February 2012. Functions of executive board members have been clarified and transferred from previous to current members, during a board meeting in Brussels, Belgium on July 14th. As well, an inventory of action points was identified and will be elaborated in coming months. The next meeting of the executive board takes place in Milan, Italy on November 28th. Requests or proposals can be discussed if received by November 21th at noon. The executive board has decided to be assisted regarding administrative duties such as membership communication and inventory, website monitoring and other duties. We welcome administrator Mrs. Grace Donovan from Southampton (UK), who will closely collaborate with the membership and SIG officer, as well as web editor, Vicki Matthews. The International Journal of MS Care (www.mscare.org) informed us that a special issue will be published in summer 2012 regarding "Novel Approaches for Assessing and Facilitating Cognition in MS". Guest editors are R.H.B. Benedict and K. Fuchs. You are invited to submit your original research, case reports, and reviews on this topic of critical importance to all clinicians caring for MS patients before February 1th, 2012. Two articles reporting on previous multi-center studies on walking ('effect of time of day' and 'differential value of short and long walking tests') that were performed by members of the SIG Mobility group, are (about to be) published in Multiple Sclerosis journal. A new multi-center study on effects of different rehabilitation programs on balance and walking in general, and responsiveness of walking measures in specific, is currently being performed in quite many centers or community settings across Europe. More information can be found on this website ('projects'). On October 7-8 at the Italian MS Society Center "I Girasoli" of Lucignano, Italy, there is the third investigators' meeting of the AutoMS Project (www.automsproject.org). Participants will be psychologists, physicians and other SIG Education and Participation professionals from Belgium, Estonia, Germany, Italy and Serbia. The main theme of the meeting will be the quality of the MS consultation, and the measurement of patient involvement in decision-making tasks. We very much look forward to further working and collaborating with you; on research projects, sharing expertise and exchanging experiences in MS rehabilitation.